Corrigan Police Department Working with Polk County Sheriff's Office to Crack Down on Drug Use, CORRIGAN, March 18, 2016 - The City of Corrigan Police Department has been very active during the months of February and first part of March. Under the direction of Police Chief, Darrell Gibson, the Corrigan Police Department is focusing intensely on the illegal use and distribution of illegal narcotics within the City of Corrigan. Detective Christopher Lima reports several narcotic arrests have been made within the past two months and several more arrests are expected. According to Lima, several tips and complaints have been received by the department regarding the local use and distribution of narcotics within the city. Lima states "though some of the complaints stem from the county, Corrigan Police Department is working diligently to curb the use and sale within the city limits". "We are also working closely with the Sheriff's Office on tips received and in locating individuals wanted on outstanding drug charges who take safe haven within the city by locating and arresting these individuals". On March 16, 2016, acting on information received about an individual with an outstanding felony warrant out of Polk County Sheriff's Office, Detective Lima and Officer Austin McCracken traveled to a residence located off of Hulett Lane in the city to execute the warrant. Lima said that upon arrival at the residence, and while attempting to gain entry into the residence, an individual was observed looking out of an adjacent window and running could be heard through the residence. Lima and Mcracken forced entry into the residence and made contact with a black male running towards the back door of the residence and throwing something towards the nearby wood-line. The black male was identified as James Williams Jr, aka "Goat", 29, of Corrigan. Krystal Chisholm, 28, of Corrigan, was located inside the residence and arrested on an outstanding felony warrant out of Polk County for endangering a child. 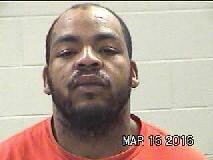 A subsequent search of the residence was conducted and narcotics, including, methamphetamine, "K2" (Synthetic marijuana), and marijuana was located inside the residence resulting in the following charges filed; Williams was arrested and charged with possession of a controlled substance (2 felony counts), tampering with evidence (both felony offenses) and possession of marijuana. Chisholm was arrested for an outstanding felony warrant, charged additionally with possession of controlled substance (2 felony counts), and possession of marijuana. Chief Gibson warns anyone using the City as a safe haven to conduct narcotic business. You will be identified and eventually arrested. Chief Gibson also warns, there are several ongoing investigations at this time and several more arrests are expected. The Corrigan Police Department asks anyone with information which could be of use to investigators in identifying those committing these types of crimes within the city to contact Detective Lima at (936) 398-2551 or Polk County Crime Stoppers at (936) 327-STOP where you can remain anonymous and may collect a cash reward with information which leads to the arrest and indictment of a defendant.